Last Thursday was a great day for Martin Finger. He sealed his third major event title by winning the  25,000 Higher Roller in the European Poker Tour (EPT) festival. With this freshly-claimed victory, Finger became the first player holding an EPT Triple Crown. Recall that the 25-years old German poker pro has an EPT Prague Main Event title and an EPT London_Super High Rollers highlighted in his career. The EPT Barcelona  25,000 High Roller was slated to be run in conjunction with Day 1B of the Main Event. However, the one-day poker tournament still saw players battling it out late on Tuesday morning. Subsequently, it was decided to postpone the event until Thursday. 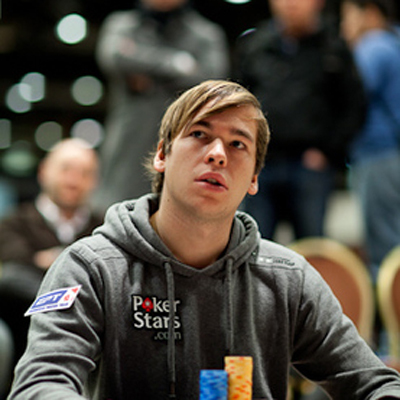 Martin Finger actually entered the three-man final table as a chip leader. The other title contenders were Liv Boeree and Mark Teltscher. When the bubble burst, it saw Boeree falling to 3rd place for  391,000. It was his biggest live tournament cash though. Thus, the scene was set for a Finger Vs Teltscher clash. After a couple of hands in play, Finger was an inch from being defeated when his rival successfully made up some great cards. Fortunately, he found the right path upwards to dominate over Teltscher. By the time the final hand arose, the scenario reflected the victory of the chip leader. For his efforts, Finger cashed the  865,900 top prize while runner-up Teltscher was awarded a consolation prize of  586,500. This page has been viewed 7619 times.